Science 1206 Selected for National Program! 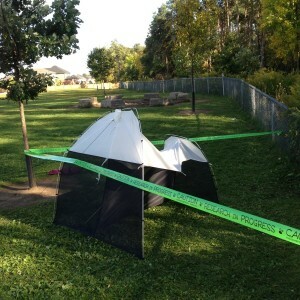 Random Island Academy’s Science 1206 Class have been selected as one of 64 schools from both elementary and secondary schools across Canada to participate in the Spring 2015 School Malaise Trap Program! Through hands-on research and inquiry based learning, the School Malaise Trap Program encourages students to become actively engaged citizen scientists – the data collected contributes to the International Barcode of Life project. Over 700 new species have been discovered since this project began! From April 20- May 1, we will have a tent placed outside our building that will attact and collect insects of our local area. People are welcome to look at the tent, but to keep this experiment and research valid we ask that you please do not disturb the set up. We are looking forward to analyze the insects that we collect! This entry was posted in School Life Archive and tagged School Life on March 26, 2015 by riawebsite.